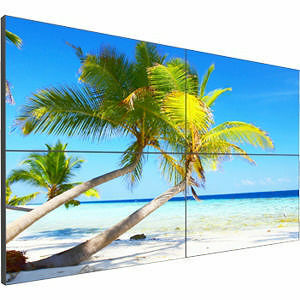 The Clarity Matrix is a LCD Video Wall System that utilizes 46" narrow bezel LCD to provide outstanding tiled visual performance, support extended operation and requires minimal installation space. This unique design makes the most of the 7.3 mm panel-to-panel gap to create near seamless images across a video wall. The Clarity Matrix design includes the thinnest profile in the industry, an integrated adjustable mount that allows for perfect alignment from panel to panel, and off-board electronics and power supplies which results in less heat, weight, points-of-failure and noise at the LCD module.